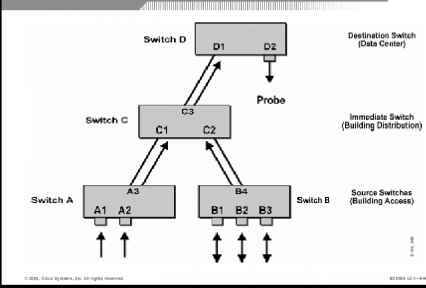 All rights re With distributed forwarding, the switching decision is made at the port or module level. 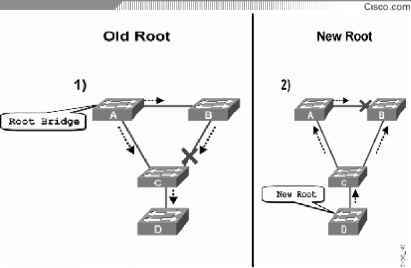 Forwarding tables must be synchronized to account for topology changes. The primary forwarding engine manages the distributed tables. 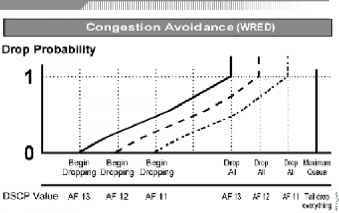 System performance is equal to the aggregate of all forwarding engines. 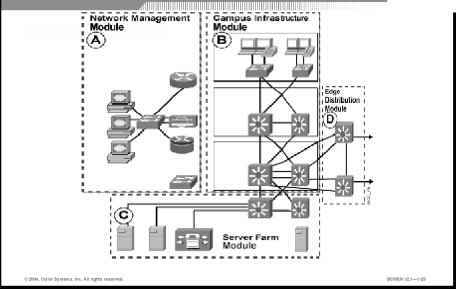 Distributed forwarding enables switches to achieve rates over 100 Mpps. All lights reserved. BCMSN v2.1 6-50 The IOS implementation of HSRP supports the debug command. 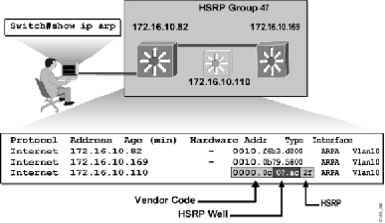 Enabling the debug facility displays the HSRP state changes and debugging information regarding transmission and receipt of HSRP packets. To enable HSRP debugging, enter this command in privileged EXEC mode Caution Because debugging output is assigned high priority in the CPU process, this command can render the system unusable. 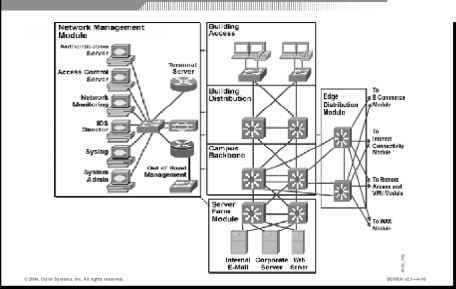 I I I I I I I I I I I I I 2004, Cisco Systems, Inc. All rights reserved. 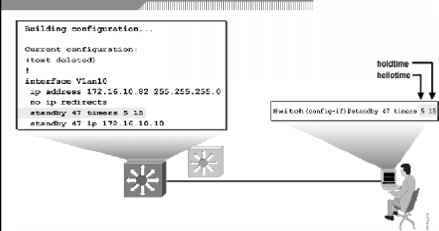 BCMSN v2.1 6-49 To display the status of the HSRP router, enter one of these commands Switch show standby interface group active init Switch show standby delay type-number If the optional interface parameters are not indicated, the show standby command displays HSRP information for all interfaces. Pop tunnel label off if next-to-last hop has not done so. 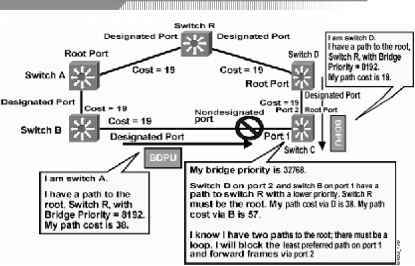 Infer from VC label how to process the original frame 2004, Cisco Systems, Inc. All rights re 2004, Cisco Systems, Inc. All rights re The egress LER pops the tunnel label off if the next-to-last-hop router has not done so already. The egress LER then reads the VC label to process and forward the original frame. 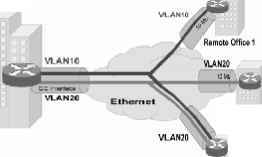 Because VLAN identifiers may overlap from location to location, 802.1Q-in-Q tunneling provides a way to identify these VLANs as they relate to their respective sites. 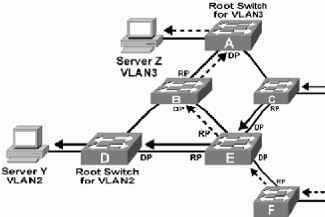 In the figure, enterprise A and enterprise B have overlapping VLAN identifiers. 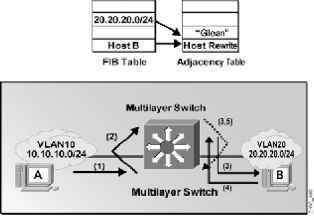 Without 802.1Q-in-Q tunneling, this overlap would present a conflict. 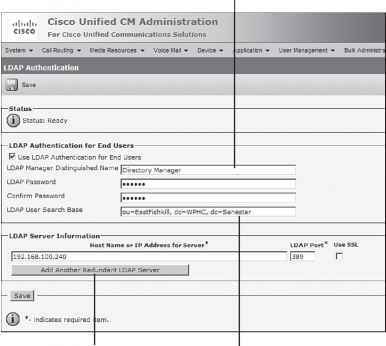 With tag stacking, transparency is preserved and overlapping VLAN IDs are not a problem. 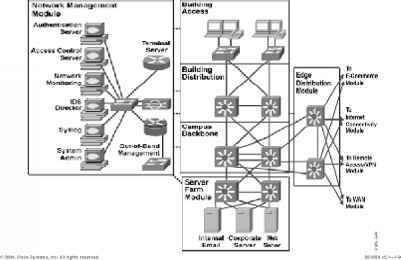 Contains e-mail and corporate servers providing application and print services 2. performs system logging and authentication 3. connects users within a campus with the Server Farm and Edge Distribution modules 4. routes traffic into the Campus Backbone submodule Q4) Match the submodules with the correct location on the Campus Infrastructure module diagram, based on each submodule's function. 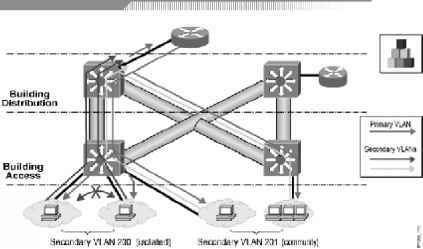 All rights re 1. contains network elements required for independent operation within a single campus 2. enables communications with other networks using WAN technologies 3. aggregates connectivity from the various elements at the edge of the enterprise network Q3) Match the modules with the correct location on the Enterprise Campus infrastructure diagram, based on each area's function. 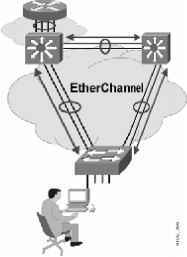 In the figure, the SONET Metro Ethernet network appears to the end user as a point-to-point Gigabit Ethernet link. 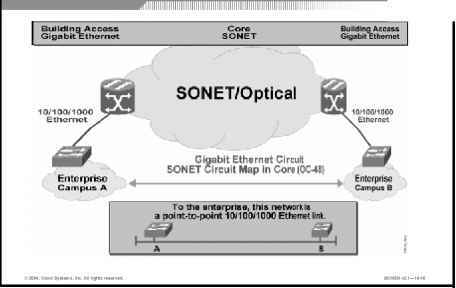 The Metro Ethernet system has essentially created a long extension cord for the Gigabit Ethernet transmission between enterprise campus A and enterprise campus B. SONET implementations are established and entrenched in service provider networks today. 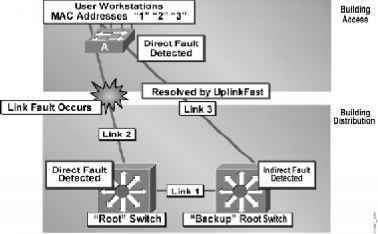 SONET is used to offer Metro Ethernet solutions that leverage the existing infrastructure including the high-availability features.